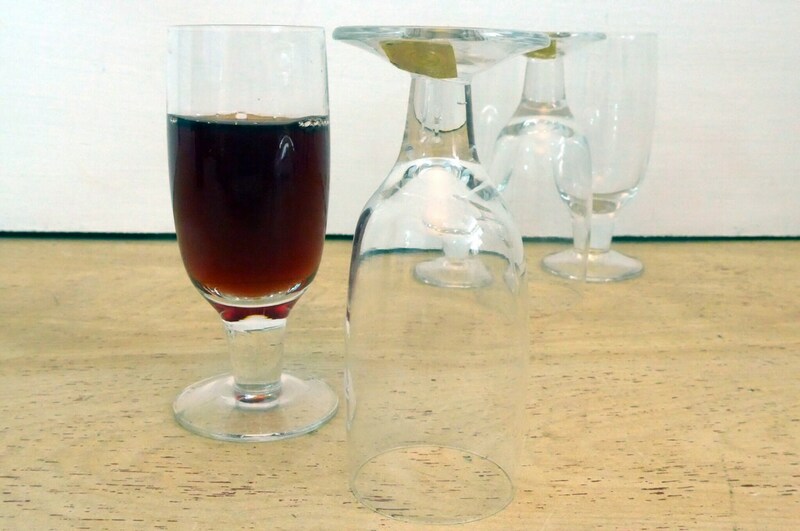 This is a set of 5 sweet vintage cordial glasses with a short stem. Two of them have the original stickers on them indicating they are made in Sweden. Look like they were never used. 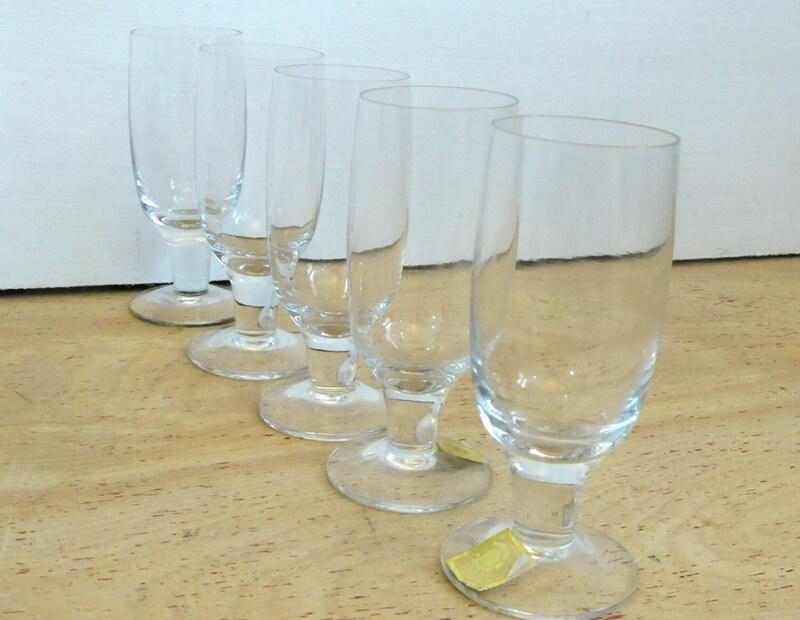 They are in excellent vintage condition with no chips or cracks and the glass is clear. 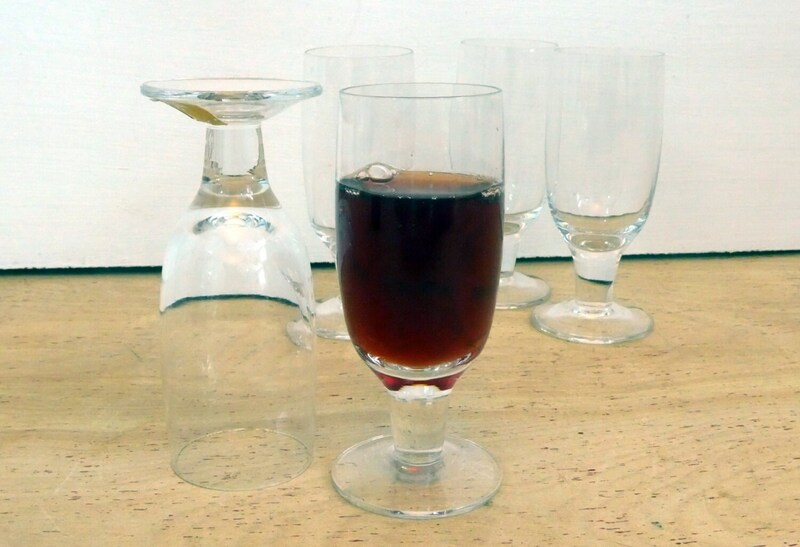 The 5 glasses measure 3 7/8" tall by about 1 1/2'' wide (top) and base is also about 1 1/2" in diameter. 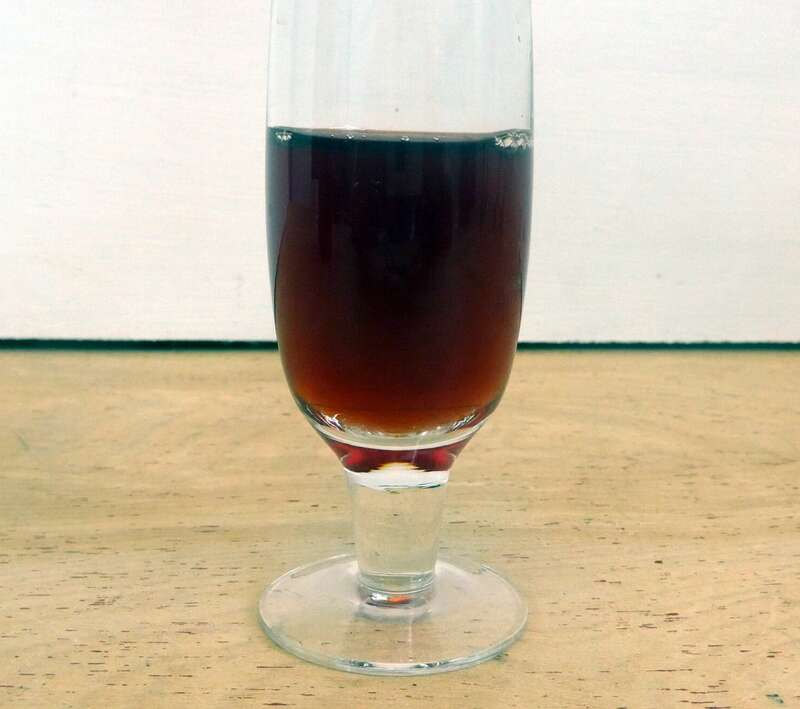 Holds about 1 oz. 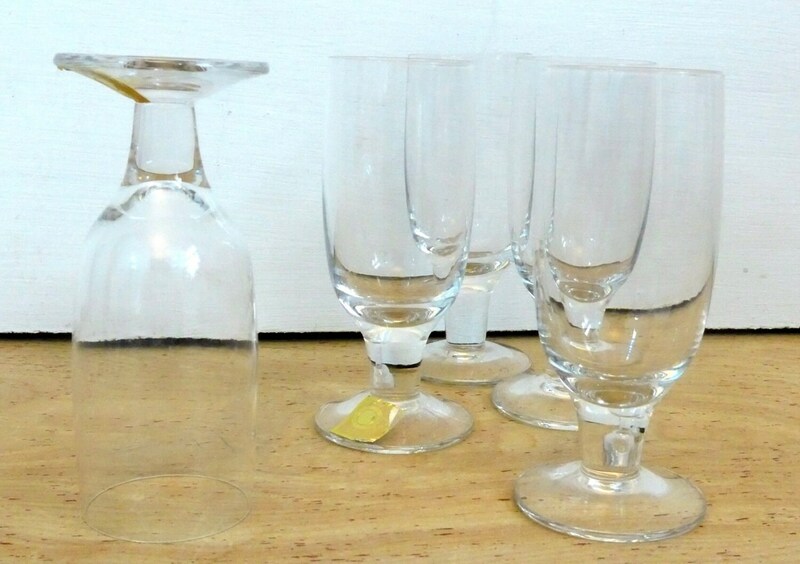 A unique set that would be great for a holiday part or any celebration.